The Department of Energy will award 10.5 million dollars to Sandia National Laboratories for the research and design of a highly efficient and less expensive solar energy system. The aim of the study is to refine a particular type of utility-scale solar energy technology in which mirrors are used to reflect and concentrate sunlight onto a receiver located on a tower. A solid, liquid, or gas absorbs the heat from the focused sunlight, which is then stored or instantly used in a heat exchanger for producing electricity. This form of energy, known as concentrating solar power, is fascinating since it can provide renewable energy - even if the sun does not shine - without the need for batteries for storage. 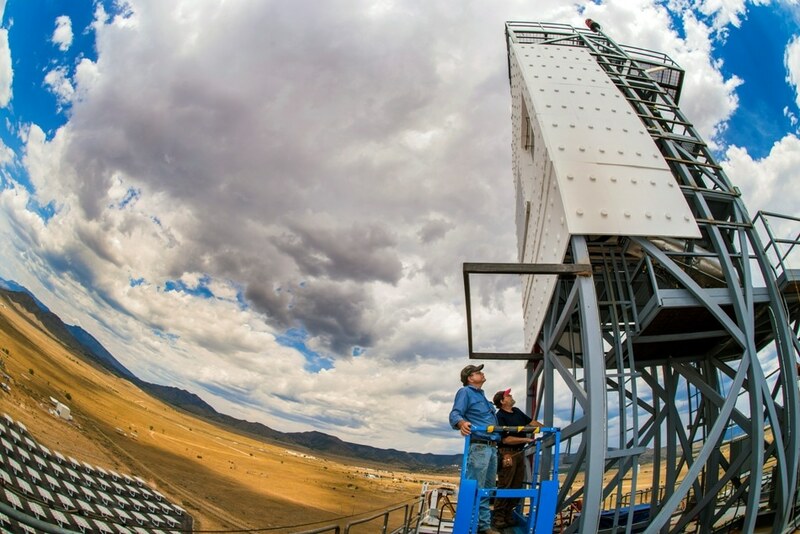 Prevalent concentrating solar power systems have the ability to heat a material to 565 °C. The focus of this new study is to attain temperatures more than 700 °C, which would not only enhance efficiency but also reduce the cost of electricity produced from concentrating solar power. Sandia has been heading one of three teams chosen by the department’s Solar Energy Technologies Office to compete to develop a high-temperature concentrating solar power system that includes intrinsic heat storage. In the system presented by Sandia, sand-like ceramic particles are used to absorb and store the heat from the concentrated sunlight. Earlier, Sandia developed the first ever high-temperature falling particle receiver, and this study will enhance and incorporate that system into a complete pilot plant. We have demonstrated a prototype for the continuously circulating falling particles, and now we are adding six hours of storage, a 1-megawatt heat exchanger, and a particle lift to demonstrate the entire thermal system. We believe particles are the best option for going to higher temperatures for advanced power cycles. The particles are inexpensive, durable and non-corrosive. They can be stored directly, they don’t freeze and they can reach temperatures over 1000 C.
The first phase of the two-year program involves designing and assessing the important components of Sandia’s intended pilot plant and striving to eliminate the risks attributed to the falling particle and concentrating solar power technology. According to Ho, the aim of the researchers will be to reduce heat and particle losses from the receiver and to determine the appropriate designs for particle storage and a particle-to-working-fluid heat exchanger that can be used in a large-scale power plant. The researchers will carry out investigations to determine designs that satisfy performance and cost goals for the Department of Energy. In the second phase, the researchers will come up with a proposal that describes the final concept for its intended pilot plant. Proposals will also be received by the DOE from the two other teams, from which one will be chosen for a support of nearly 25 million dollars to build and operate a pilot plant in the third phase of the project. National Renewable Energy Laboratory, Allied Mineral Products, Georgia Institute of Technology, Vacuum Process Engineering, King Saud University, Solex Thermal Science, Saudi Electricity Company, Carbo Ceramics, Commonwealth Scientific and Industrial Research Organisation, SolarReserve, University of Adelaide, Solar Dynamics, Australian National University, Electric Power Research Institute, the German Aerospace Center (DLR), and others are among the project partners of Sandia.